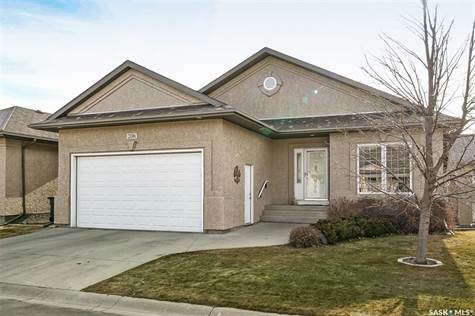 Spacious 1,200 sq ft bungalow with walkout basement in Wildwood. Beautiful condo featuring 3 bedrooms, 2 dens and 3 bathrooms. Open concept main floor offers large windows plus a skylight for additional light. The wonderful kitchen has quartz counter tops, a large island with seating, walk-in pantry and stainless steel appliances including gas range. Nice sized dining room with access to the upper exterior deck with glass railing. Large living room with built-in cabinet and hardwood floors. Master bedroom retreat with four piece ensuite. Bright front room off entrance for den or office space. Downstairs offers a spacious family room featuring gas fireplace and custom bar area. The walkout basement also has 2 more bedrooms, a den, three piece bathroom and finished laundry room. The attached double garage is insulated. Great location close to all shopping, parks & amenities.